Green and Glassie: Are you planning a trip to a waterpark this year? Are you planning a trip to a waterpark this year? If so make sure to pick a hotel that is Eco Friendly. We are headed to Great Wolf Lodge in Wisconsin Dells this June. Did you know that the Great Wolf Lodge's are the only water parks that are Green Seal Certified! - The Johnson Foundation is the only other location in the State of Wisconsin with Green Seal Certification. This is a HUGE deal to saving our planet! Green Seal is a certification created 20 years ago for the lodging industry that addresses close to 30 environmentally responsible areas. Program Project Green Wolf was designed by Great Wolf to encourage eco-friendly initiatives at their resorts. Project Green Wolf’s mission is to play a leading role in conserving our planet for future generations by educating and establishing green traditions for both our guests and pack members. Their strong environment program has given them the opportunity to receive the Green Seal Certification at their resorts. A certificate no other water park has been able to obtain. Here are just a few of the actions that Great WOlf Lodge in Wisconsin Dells has taken that all the other water parks in the dells have not. I know this list is long - as you can see by the list it took serious commitment to make these things happen! Total company commitment from the top down. I Thank Great Wolf for "Making A Difference"
1. Showerheads, faucets and aerators use low-flow, water-conserving fixtures or retrofits. We also use waterless urinals in our men’s public restrooms. 2. Exterior landscaping uses local plants and watering is scheduled to retain maximum water. 3. Sidewalks are swept instead of washed. 4. They have a strong guest linen reuse program that saves water by eliminating unnecessary laundering. Their waterpark filtration systems use 80 to 90 percent less water than traditional filters. They mechanically control the humidity and temperatures in the park so there’s very little water loss from evaporation. They recover most of our water, filter it, treat it, and return it to the waterpark. Their systems are considered to be the most effective and complete in the world. Because of their advanced filters, the water we use contains the lowest amount of chlorine possible, while staying within the recommended local and state guidelines. Less chlorine in the pools means less chlorine released into the environment. 1. They co-mingled recycling bins in all public areas, guest rooms, and employee areas. 2. Amenities (soap, shampoo, etc.) are packaged in recyclable materials and unused portions are donated to charity when possible. 3. They use only recycled paper at our resorts. 4. Resort uses double-sided copying. 5. Products are purchased in bulk, such as concentrated cleaning products. 1. In-room, office, and heating/air conditioning equipment is either already energy-efficient, or on schedule to be replaced with energy-efficient equipment. 2. Their lighting uses only energy-efficient bulbs. 3. Systems and appliances are on a preventative maintenance schedule. 4. Energy-efficient windows are used as windows are replaced. 5. Programmable on/off timers and/or sensors are used for lighting and HVAC in low traffic and low occupancy areas. 1. Chlorinated chemicals are used only where there is no less toxic alternative. 2. Automatic dishwashing detergent is biodegradable and does not contain NTA, a harmful water softener, or chlorine bleach. 3. Laundry detergents and cleaning products are non-phosphate, nontoxic and biodegradable, and used in concentrated liquid or powder form. 4. Organic insecticides, fertilizers and biocides (used for pesticides and antimicrobials) are being researched. 1. Hazardous substances are being replaced with less hazardous alternatives. 2. Chemical storage and mixing areas have appropriate space, plumbing and ventilation. 3. Storage containers are clearly marked and property uses spill containment measures. 4. Architectural paint does not contain heavy metals or toxic organic substances. 1. Hotel has established an environmental purchasing policy led by a steering committee. 2. Printing and writing papers contain a minimum of 30 percent post consumer material content or tree-free fiber content; coated paper contains a minimum of 10 percent post consumer material content or tree-free fiber content. 3. Toilet tissue is made from at least 20 percent recycled fibers; facial tissue from at least 10 percent recycled fibers; and napkins and paper towels from at least 40 percent recycled fibers. 4. Durable goods are of sufficient quality to allow reuse, refinishing and/or reupholstering. 6. Preference is given to suppliers who provide reusable packaging and shipping pallets. 7. 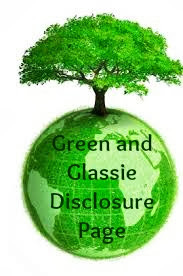 Preference is given to environmentally responsible service suppliers. IT IS EXTREMELY IMPORTANT to me to teach the kids that being eco-friendly is our responsibility as humans. Only by protecting what we have can we ensure that our earth as we know it will be here for future generations. Our family focuses on living green - taking very little from our earth and giving back much more. Simple things like keeping our lakeshore property natural at our home, using natural cleaning products, never using lawn fertilizer that will run off into our lake, reuse and recycle - standing strong in our belief that "We Can Make A Difference". They kids know what to buy and what not. They know the word ORGANIC and GMO FREE. I am proud of my daughter and son-in-law for not always taking the easy route - the green route is sometimes more work but offers more rewards. Please join me in Thanking Great Wolf for being a leader in SAVING our EARTH! We make a trip to Wisconsin Dells at least once a year, if not twice. We've never stayed at Great Wolf Lodge though (yet.) We see it every time we go and say "next time" we'll have to stay there. I have heard a lot about Great Wolf Lodge. I did not know they were green seal certified. There is a Great Wolf Lodge coming to Massachusetts and I am definitely planning on checking it out. I have heard great things and I can't wait to get my kids there. Wow! I can't believe how much they do for being eco friendly! We will be staying there this summer too and can not wait! I have never even given a thought to how a water park could be eco-conscious. I always assumed they just were. What a great reminder to consider all facets of a place. WE don't live near Wisconsin but we do have a Great Wolf Lodge in TX.. We've not been but hope to soon. We love everything they have to offer. Our local water park just opened up for the season. I can't wait to get a season pass and head there on the weekends! That is awesome they are so environmentally friendly! We are thinking of visiting the one in KC this summer. We would love to head to a Great Wolf Lodge someday. Fun for the entire family! I did not know how eco friendly great wolf lodge is!!! but we have one opening this summer and now i'm even more excited! This sounds like a great earth friendly place. This is on my list of places to go in September on our travels to NY, it's on the way. I have awesome things about this place! I've wanted to visit Great Wolf Lodge for a while. Now that I know it's Green Seal certified, I want to go even more! I had no idea the Great Wolf Lodges were so eco-friendly! It makes me want to visit one of the locations even more! Great detailed info! WE love Great Wolf Lodge. We need to plan another trip soon. I had no idea that there was a green seal. I didn't know about Green Seal Certification. That is very awesome. It sounds like Great Wolf Lodge is really taking extra steps, and I love how much water they are able to reuse and conserve. I didn't know this about them--We have one in The Falls --but we've never been yet. Being a Southerner, I've never been to WI, but have still heard about Great Wolf. I love that they are so eco friendly. We love, love, love Great Wolf Lodge. It is fun for the whole family and has so much to offer. We go every year. I definitely will support a water park that cares about the environment. We've been to the one in VA. So much fun!! I've been wanting to take my kids to Great Wolf Lodge just because I thought it was cool but I love how Eco-friendly they are too. We visited the Charlotte Great Wolf Lodge a couple years ago, and I was impressed by their water conservation efforts. They do an amazing job. Whenever people travel, whether at an ecofriendly hotel or not, choosing to reuse the towels is an option we all have. I have never heard of this place. But it looks like an amazing place to take the family. My boys love the GWL. I had no idea that it was so green! I didn't know they were so Green. We go the WI Dells every year but have always stayed somewhere else. We will have to try the Great Wolf. We have been to the Great Wolf Lodge in North Carolina. I knew they strive to protect the environment, but I didn't realize all that they do to conserve. Amazing! Though I can't really go to this place, in my opinion- knowing that a place or establishment is Green Certified then it is a good place to visit and also I hope there will be more places like this to be promoted. I've heard great things about Great Wolf Lodge. I know that there is one close to us here in NY so I can't wait to take my daughter there one day. I have never gone to a Lodge before. Looks like it would be fun to go to. Hopefully one day my family I will make a trip to one. I wish I could go to Great Wolf Lodge since it's Green Sealed Certified. Oh wow. I didn't realize there was such a thing as eco friendly water parks! We really love Great Wolf Lodge. And I love their water conservation efforts. Good grief! This list is amazing. We have never been to Great Wolf Lodge, but it looks awesome. This is just another reason to visit. This sounds like such an amazing place. I wish we lived closer so we could visit. We have friends that visited and keep telling us to go. It looks awesome! Glad that they are doing their part to keep our earth clean! Cool, this sounds like a wonderful place to stay for a zillion reasons! I have never heard of it, I am excited to check them out and see where there are locations. I'd love to plan a vacation! 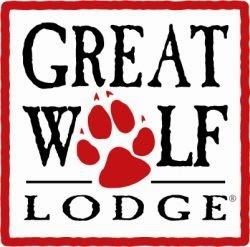 I have never been to a Great Wolf Lodge before but knowing that they are making an effort to conserve and be a green company makes me want to think of them the next time we travel! I haven't heard of this place but it sounds awesome. We always try to hit the water park, but as a date only with our older kids. I have heard of this place and it sounds like so much fun! We might have to plan a trip! We have a Great Wolf lodge about 30 minutes from me. But, I have not been there yet. Great Wolf looks absolutely lovely! It looks and sounds like a great place for a family vaca! That's awesome that they're working so hard to be kind to the environment. I've never heard of an eco-friendly waterpark. We love waterparks. I love that this one is more eco-friendly than most! Love to hear about Great Wolf and what they are doing for the environment. There are a lot of waterparks in Florida where I live.....hope they follow suit!! I go to a water park every summer at least once, as we have a couple near us. This one looks SO cool though! I've definitely heard of it before but didn't know they were so eco-friendly, that's great. We haven't been to Great Wolf Lodge yet, but it's great that they are doing. I'll be honest, I never really thought about water waste at the amusement park, but I will now. I love in Orlando, so we will be visiting several of the local waterparks. But this one sounds like a great company! I have heard great things about Great Wolf Lodge. I would love to take my family to one in the next year or so. I love that hotels are trying to go green and make a difference. I always thought it was a little crazy to change the sheets every day when the same people were staying in the room. I'm pretty sure most people don't change their sheets at home every day and wash them. I have heard a lot of really good things about Great Wolf Lodge, and this just adds to the list. It is great to know that they are an eco-friendly establishment and have even earned a Green Seal Certification. Awesome place to vacation this summer, for sure! Great Wolf Lodge was the first indoor waterpark we ever visited. We got one of those fabulous rooms w/the bunk suite in the middle, and everyone loved it! I didn't know there was such a thing as the Green Seal, but now that I know I will definitely remember! Great information that I didn't know! Ooooh looks like fun times. Be sure to tell us all about it and take lots of pics!! I didn't realize that either. It makes it even more appealing than it already was knowing that. This is so good to know. There is a Great Wolf Lodge a few hours from us but I've never been. In fact, I've never been to a water park at all! Might have to try it out someday. I need to see if there is a wolf lodge around here. But we do plan on going to a waterpark! I am super excited! I am so ready for summer and to head to a water park. I never really thought about how much water can be wasted there. Something to consider when choosing a park. We have a Great Wolf Lodge near us (Cincinnati). I've always wanted to go, and I especially do now - it's great that they are Green Seal Certified! They have a Great Wolf Lodge in our neighboring state of PA. Would love to visit some day! I love the fact that its Green Seal Certified! We have been to our local Great Wolf Lodge a few times and I had no idea they are Green Seal Certified. It's so important to support eco friendly businesses. This place looks like a BLAST! I want to go on those water slides. That's a pretty significant certification. I'm really impressed that they have this and what it all involves. I've never heard of Wolf Lodge but it definitely sounds like a great place to visit. I have noticed a lot of hotels are implementing a lot of the features you listed which is great. I love that they are so eco friendly. Its definitely a place I'd like to visit. I've been itching to take my husband to the dells! My kids and I went when he was deployed. If I can talk him into going we will for sure be checking into the Great Wolf Lodge! I didn't realize that places like this could be considered eco-friendly. That's so interesting to learn about all the good things that they do and how they help to reduce waste and such. Never been into waterparks, but I would go to this one, just for the experience of everything else! I would be so nice if all places to stay were eco-friendly such as this. I see it as a training and suggestions for what visitors should do at home. Very encouraging. I'd like to stay there. I love that they take the time to be eco friendly! now I need to learn how to swim so I can go and have fun! This is such an amazing program to raise awareness on a greener planet. I've been dreaming about having my own green corner at our house and I'm always looking for more guidelines on how to do that so this is great information.